5.0 out of 5 starsIntense is an understatement! 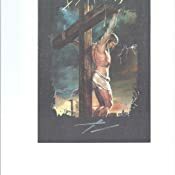 The first time I watched this film was sometime in 2005, and I had a hard time doing so because of the torment Jesus experienced. Here I am, nearly 12 years later, having watched it again, and I feel even more unworthy of His sacrifice. I cried the first time, and even harder during the second viewing. What I know is this... I would not do what He did. Hence, my feelings of unworthiness. 5.0 out of 5 starsIt's six stars for me! One of the best, if not the best, Passion films I have ever seen. ("Risen") is a close second [see it if you can].) The graphics are exquisite and Mel Gibson is to be congratulated for his own passion at getting the story right. His attention to detail is uncanny and shows great care and enthusiasm for his research and that of his team. 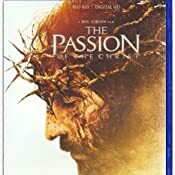 This film may be too gruesome (the real Passion wasn't any better) for young viewers, but when appropriate this film should be seen by all who value and want the true depiction of the Passion of Christ. 5.0 out of 5 starsTHAT THIS REALY HAPPENED!!!!! THE MOST HEART BREAKING EVENT, THE PUREST EXAMPLE OF GOD GIVEN LOVE AND FORGIVNESS, HIS FATHER HAS EVAR SHOWN SINCE MAN WAS CREATED, I CAN ONLY IMAGINE HOW GOD FEELS WHEN HE HEARS SOMEONE SAY, I DON'T BELEVE, IF YOU HAVE A SON, LOOK AT HIM AND IMAGINE, HOW YOU WOULD FEEL, IT WAS FOR ALL OF US, AND IN RETURN, IS LOVE TO BELIVE AND OUR DEVOTION, WE HAVE NOTHING TO LOOSE AND EVARYTHING TO GAIN. THIS MOVIE IS TRULY SHOWING US THE GREATEST GIFT OF LOVE THAT HAS EVER BEEN. I AM NOT SMART ENOUGH TO EXPLAIN THAT MUCH LOVE FROM A HOLY GOD. 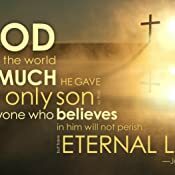 SO I WILL JUST SAY THANK YOU TO GOD THE FATHER-GOD THE SON- AND GOD THE HOLY SPIRIT. This is so hard to watch knowing that Jesus did go through this. He did it for us. This movie does plays in English now. The person that plays Jesus did good job. Satan in this movie is really creepy. 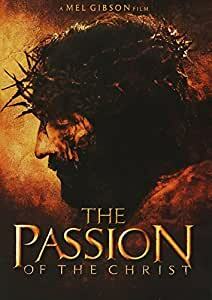 This is good movie to play in church for Easter. I watch it year round. But not to much cause it’s hard for me. This is instructive on how much pain was born in our behalf. Isaiah 53 describes the Christ was not recognizable as a man after the scourging, this showed much of what that would have been in itself. It showed other elements of Christ's time on earth. Acting in it affected James Caviezel's life as he testifies on YouTube. Also get the movie Risen to see what likely happened next. The film is just as heart-wrenching the second or third time you watch it as the first. 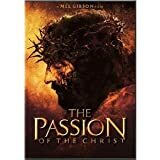 It's become a Lenten tradition to watch this and reflect on the mysteries of the Passion and Resurrection. The main benefit for the instant video version is the lack of letterboxing coupled with improved quality relative to the DVD version, which is especially relevant to folks with 1080p or greater screens. 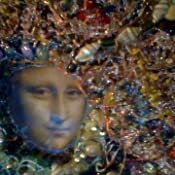 The spiritual dividends of the instant video version more than offset the greater cost of it relative to the DVD. 5.0 out of 5 starsDespite the bad reviews because of Mel Gibson, this is a MUST SEE for all believers!!!! This is an A+++++ movie!!!! My 87 year old mother watched it for the first time a couple of days ago. Although it was very graphic and upsetting, I believe everyone should see visually what Christ went through to save us from our sins!!! !